BEAUTIFUL, BRIGHT AND PRIVATE TOP FLOOR 2 BED, 1 BATH. 6-UNIT CONVERSION BY ARCHITECT-DEVELOPER, OPEN CONCEPT, HIGH CEILINGS & VINTAGE TRIM. HARDWOOD FLOORS, SS APPLIANCES, GRANITE COUNTERTOPS, NEW IN UNIT W/D AND CENTRAL AIR WITH A NEST AND PLUS EXTRA STORAGE. 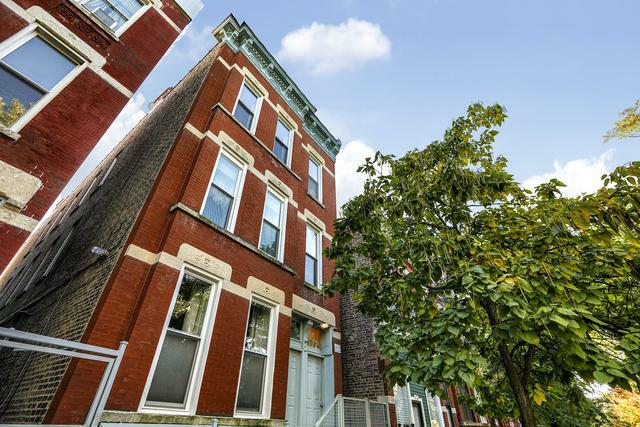 HOT LOCATION IN WEST TOWN! FHA APPROVED. ALL UNITS ARE OWNER OCCUPIED AT THIS TIME AND NO RENTAL RESTRICTIONS. GREAT INVESTMENT OPPORTUNITY THAT IS MOVE IN READY. LOTS OF EASY STREET PARKING, NO PERMITS REQUIRED.